The concept is simple: Ask Others To Complete Your Phrases. All you have to do is continue phrases you like the most, or create your own one and offer your friends to continue them. 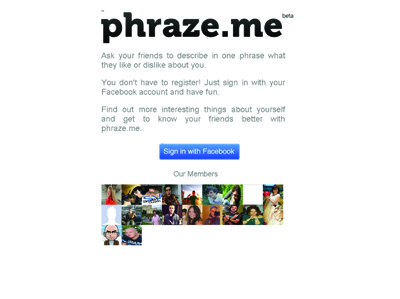 Phraze.me is fully integrated with most popular Social Services. 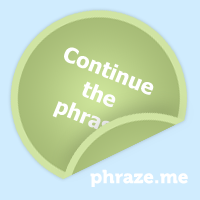 Phraze.me is good for knowing what associations any phrase of yours can have.